Resurrection is fully accredited by the State of Indiana as well as AdvancED and holds membership in the National Catholic Education Association and the Indiana Non-Public Education Association. 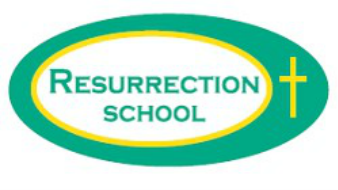 Resurrection School is staffed by a faculty which is dedicated to the education and spiritual growth of youth. Parents must be acknowledged as the first and foremost educators of their children. At Resurrection, we educate the whole child: heart, hands, and head. Top priority is the teaching of religion and communicating to each child that there is a God who loves him. We hope to attain all of this by the encouragement of the pastor, the competency of the teachers, the students’ willingness to learn, and the cooperation of the parents. In this way, we hope to bring all closer to the Lord, Jesus Christ. In partnership with our families and our parish community, Resurrection School provides an outstanding education inspired by Catholic values and built on academic excellence. We are committed to empowering today’s children to become tomorrow’s leaders.